WonderSoft Multimedia Solutions is a praiseworthy web application development company as it has been delivering incredible services to its clients. We have employed 10+ veteran developers deliver clients the perfect solutions for their requirements. WonderSoft Multimedia Solutions focuses on quality along with the timely project delivery. We boast an efficiency rate of 100% because we had the services to cater to a broad variety of projects. WonderSoft Multimedia Solution is committed to serve exceptionally with feature-rich services to its clients. Our apt solutions help us implement your complex requirements competently and take your idea and transform it into a feature-rich iOS application. There are millions of iPhone and iPad user across the country and an iOS application gives you the direct ticket to reach them. 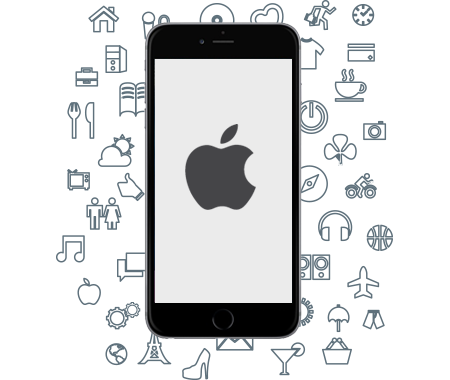 Our experienced iOS programmers are well-equipped at developing any sort of iOS applications which will best cater to your business objectives. Applications with high quality UI and highly interactive & customized features will offer your consumers the time of their lives! Ready to create iOS App development services with WMS? WonderSoft Multimedia Solutions (WMS) is absolutely unmatched at developing iOS applications which perfectly cater to you, because we understand your business goals. So, give us a call and be ready for an amazing iOS application experience!